Owner Representative of PIL Logistics Urs Moll talks about logistics-trends in Egypt & how democracy is a luxury that very few countries can afford. 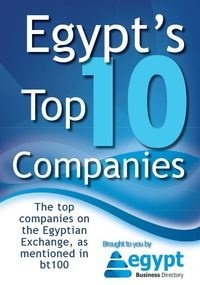 In January 2012, the Agility Emerging Markets Logistics Index reported a decline in Egypt’s “logistics efficiency”, although Egypt offers one of the top 10 sea freight trade lanes and is expected to have a bright future in this segment. Egypt Business Directory decided to get some advice on how to enhance this particular sector and other pillars of the economy. After finishing his apprenticeship in Europe, Urs Moll voluntarily left Switzerland to work in the Middle East, and finally ended up as the Owner’s Representative of Pacific International Lines Pte (PIL) for the East Mediterranean and Black Sea Region. Having worked in Egypt’s logistics sector for over 30 years, Moll has slightly different insights on the Egyptian status quo than other expats. He recalls a time when there were only three companies in Egypt dealing with clearing and forwarding – back in 1975. The only tasks those organizations received were from embassies and institutes, because there was no private sector at the time. When former President Anwar ElSadat introduced the open-door-policy, the logistics-business started to grow, especially in cooperation with the petroleum sector. Currently, the future lies in Third-Party-Logistics - the outsourced logistics activity that goes beyond the classical clearing and forwarding that people have been doing for the past 100 years. Today, forwarders try to control the cargo from origin and arrange the shipping from beginning to end. “Companies do not want to waste their effort away from their core activity. A firm in the fashion-industry – for instance – does not want to worry about organizing the packaging and distribution of its products, but it wants to create something that sells,” Moll explains. This is why more and more local companies hire forwarders, following the example of the experienced multinational companies. When asked about the main challenges that face the local logistics sector at the moment, Moll confidently explains that in the logistics sector every problem is an opportunity – otherwise, companies would not need logistics companies to take some load off their shoulders. On the contrary, logistics firms flourish in countries where there are a lot of transportation problems, and obstacles are mostly the reason behind their success.